Joy in the Journey: What Do You Fear? What do you do when you wake up at 4AM, sweating and breathing hard, out of a scary dream? You may just roll over and go back to sleep, or, if you're me, you drag yourself out of bed and analyze the crap out of it and use it for fodder for your blog. Lucky you, right? We all fear something. Fear is a natural part of life: a survival response that is meant to cause action, to stimulate a protective instinct. Everyone everywhere has something that makes their palms sweaty and their heart feel like it's going to break out of their chest. Otherwise, we wouldn't survive, let alone thrive. We'd spend our lives stagnant or worse - chasing after stupid things that will kill us. Want to know what my crazy, horrible dream was about this morning? Don't laugh. Promise you won't laugh? The thing that had me sit bolt upright in bed was my boss up and quitting. Hey, you promised not to laugh! My boss leaving is something I fear. Why? Because my two biggest fears are failure and success. Yep, you read that right. I am afraid to fail, but I am ALSO afraid to succeed. Care to analyze that with me? I'm afraid to fail for all the obvious reasons. In order to fail, you have to have tried, right? And when you try, you put yourself out there. You take a chance; you leap; and you know you may just fall. Failure hurts. But failure also pushes you towards success. Like I posted on a friend's facebook status, failure is always worth it. Always. It may not feel like it; it may not seem like it. But it is. Even if that particular situation doesn't work out (and lots of times they don't! ), there is always something to be gained. Knowledge, experience, faith in yourself, something to be proud of, or a myriad of other blessings. All that being said, the fear of failure is actually a good thing, as long as it doesn't paralyze you. You have to allow it to motivate you, to move you. So why am I afraid of success, you may wonder. I am afraid of success, because I don't want to fail other people. Hmmm, there's some circular logic for you. If I succeed, people count on me. My example inspires them. And I assume some semblance of responsibility for them. And, as is the case in my coaching business, I assume some responsibility for their successes. And you know what? That scares the daylights out of me. But here's the thing: like I started out by saying, everyone fears something. 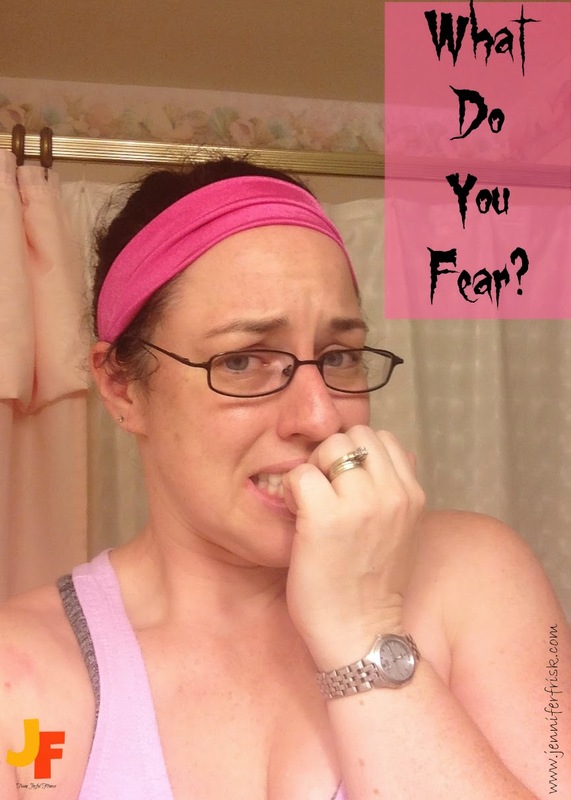 Fear is an innate response, one that can be the catalyst for some amazing things! So, yes, I admit my fears. I own them. Because if I own them, they can only make me better. I can use them. I'm afraid to fail? Well, then, I work harder so that I WON'T fail. I'm afraid of success (which is really saying I'm afraid of delayed failure when you think about it...)? Well, then, I will use that fear to spawn new goals, new ways to ensure others' successes, and new ways to give others the tools to reach for their own successes. I will take my fears, and I will punch them in the face. 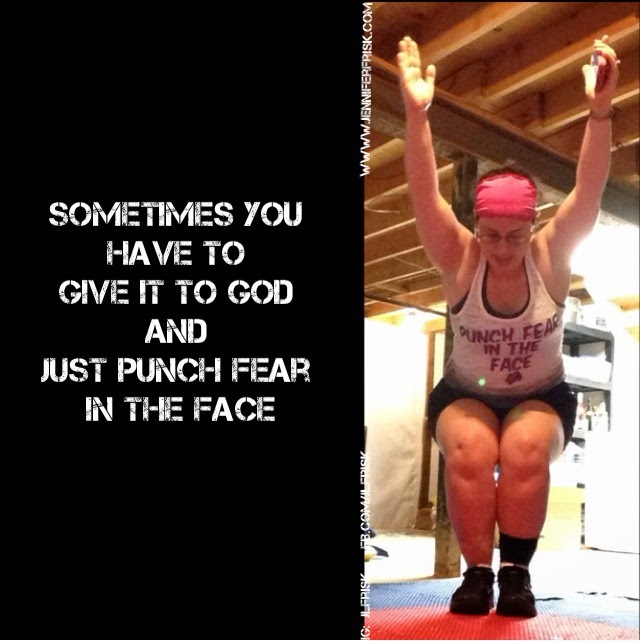 Because fear does not have power over me. Fear is a tool to be used. So, what do you fear? And what are you doing about it?